In these darkest depths of winter, it feels as if summer was forever ago. Luckily though the dynamic duo of Golden Era hip hop, Too Many T’s, have given us all a welcome reminder of their incredible summer with new video Too Many T’s – Too Many Gigs. Showing footage of some of the 18 festival performances that the band rocked in 2013 including Bestival and Camp Bestival, Beat Herder, Shambala and Secret Garden Party, the video is the perfect antidote to the winter blues. Returning in the spring with their debut album and hitting the road in the UK and Europe shortly after, there has never been a better time to be a member of the T party. Make sure you keep an eye on the Too Many T’s website for spring, summer and festival announcements soon! Roll on summer. 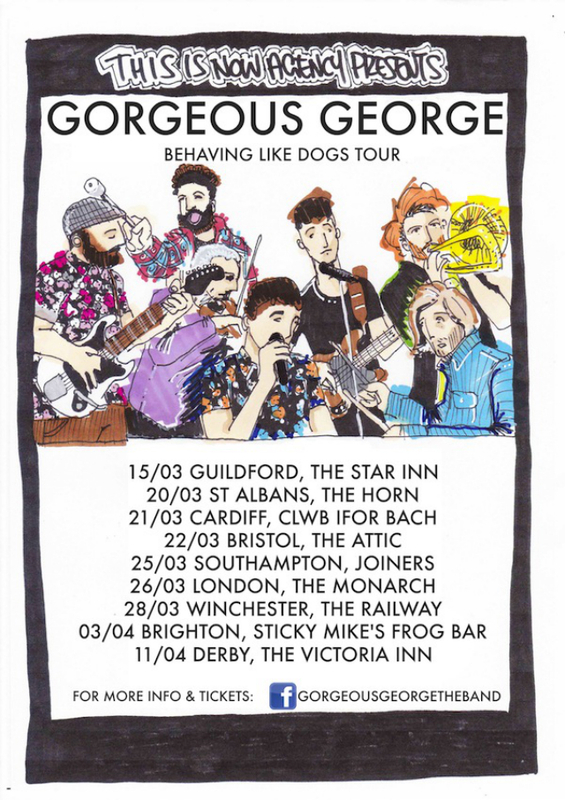 Gorgeous George are a band with a sound as new as this Saturday night lashed to a thousand years of European folk melody and with a blinder of a year behind them, this 7 strong gang of loveable South London rogues have announced their debut ‘Behaving Like Dogs’ headline tour for the spring 2014. Starting on Saturday 15 March at Guildford’s Star Inn, it’s going to be a full-on lyrical assault as the band perform 9 dates at a lung-busting gallop, with melodies and rhythms flying from innumerable instruments like the screams and pistol fire of a drunken Balkan wedding party in deepest darkest Peckham. Following the success of debut 5 track ‘Saturday Night’ EP back in November and going down a storm supporting folk raconteur Beans On Toast during his ‘Live Album Tour’ across the UK, the band are currently in the studio recording their much anticipated second EP with Chrissy Boy from Madness on board as their producer and mentor. The festival favourites are looking at a busy summer of appearances following raucous foot stomping performances at last year’s Bestival, Secret Garden Party, Nozstock and Wilderness amongst others. Gorgeous George are a band who love to perform live in front of a crowd and this is really when they are at there best. Tickets are on sale now via Facebook. Having just recovered from the festival season and an extremely busy and successful first 9 months in business, This Is Now Agency is looking forward to an even busier 2014 with plenty of shows, tours and releases from all the Agency Roster and a new team member Sarah Joy on board! Following their huge success last year, Public Service Broadcasting will be shipping off to America in February and March to play a long string of dates before finally returning to the UK for four shows in Leicester, Lincoln, Hull and Stockton on 16, 17, 18 and 19 April. The band will be visiting Europe with shows confirmed in Germany and Netherlands for April with more dates in France and Italy to be announced shortly. The festival season will be a busy one for PSB and some much-anticipated new material is in the works for the autumn alongside an impressive live show in some very special venues. Things are getting exciting for Beans On Toast as he’ll be performing to over 100,000 people in one week as he embarks on an arena tour next month with King of punk-folk Frank Turner. A new release will also coincide with Record Store Day on 19th April as well as a busy summer of performances planned for the festival favourite. Excitingly Skinny Lister will be releasing a new album in June via a very well known record label and will be extensively touring the US throughout February and March joining the legendary Dropkick Murphy’s. The band will then head back to the UK for a few exclusive shows at the start of the summer, plenty of festival dates and the UK tour circuit in September and October to promote the new album. February will mark the release of the Lazy Habits remix album, which includes reworkings from artists such as Stinkahbell, The Disablists and 28Hrtz. The band is also currently working on a second album due for release in the autumn. Some of the Lazy Habits members have been busy working on a supergroup project High Cross Society, also on This Is Now Agency, who will be playing their next tour in the spring. Son of Dave will be hitting the road in February on a headline UK tour that will take him from Brighton’s Green Door Store on 14 February to Exeter’s Phoenix on 15 March with tickets on sale now. He’ll be recording for a French national TV in January, debuting the talented new backing band that’ll join him on tour. He’ll be returning to Europe throughout the year with three dates confirmed at Paris’ Duc des Lombards from 3 – 5 March as well as other countries being announced shortly. Gorgeous George are busy in the studio with Madness pianist and Producer Chris ‘Chrissy Boy’ Forman working on their second EP. Plans are currently in place to tour the UK in spring to coincide with the new release. Festival season will also be a busy one for the Peckham-Balkan folk troupe with appearances currently flooding in. 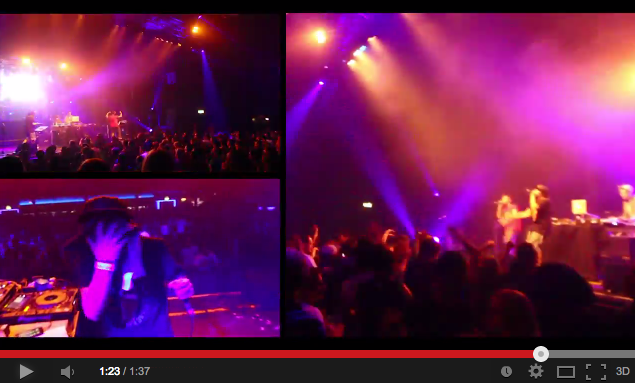 Too Many T’s are also well on their way to a busy year, with a series of club performances and an album on the horizon. The band will be making the most of the summer, travelling the UK and Europe appearing at festivals as well as their own headline shows. Finally, 2014 marks the 23rd year of Leeds club night Back to Basics and will see the documentary ‘Two Steps Further Than Any F***er’ released about the event, an exhibition as well as an accompanying book and autobiography by infamous founder Dave Beer. Back to Basics will be taking over a number of festival dance stages throughout the summer bringing their antics to the fields of the UK.